Use Desktop Publishing Software to add Email button on flipbook. I found there have a email option provide on you A-PDF to Flipbook software, but how can I apply this function, and make it useful for me? 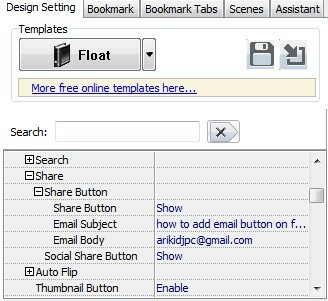 Step2: Select Float template from template box. Step5: Publish your flipbook, then unload online, and then you will find email button is useful.